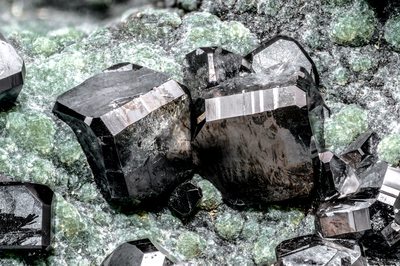 Group of black and shiny magnetite crystals, that show the combination of octahedron, rhombic-dodecahedron and cube. On green lizardite spheres. Collection and photo of Gianfranco Ciccolini.